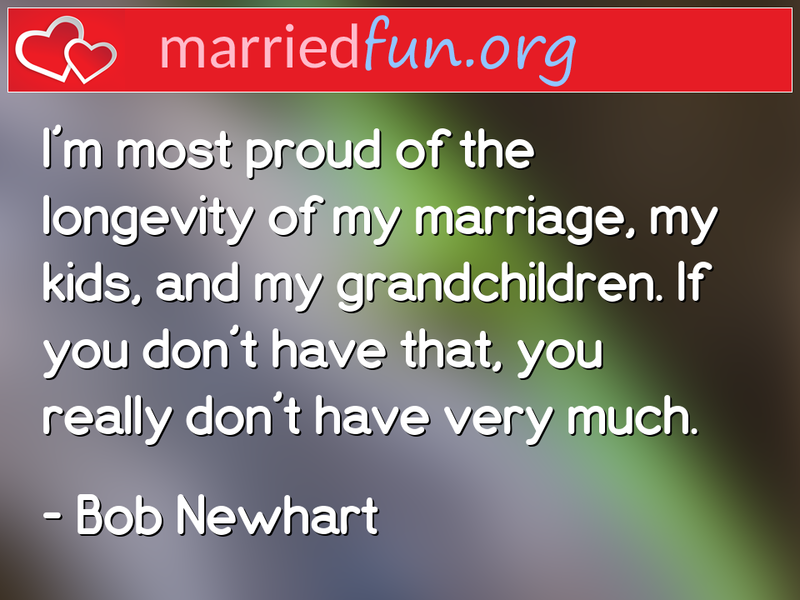 Marriage Quote - I'm most proud of the longevity of my marriage, my kids, ... - Married Fun! I'm most proud of the longevity of my marriage, my kids, and my grandchildren. If you don't have that, you really don't have very much.